There is nothing left to do at this low maintenance opportunity on a corner block in central Sebastopol. You will enjoy the convenience of walking to a range of shops, cafes and schools. While the home and grounds are certainly easy to look after there remains enough space for the gardener or those with pets. The rear yard is enclosed and secure. Inside the home you will immediately be impressed by high ceilings and quality fixtures and fittings. 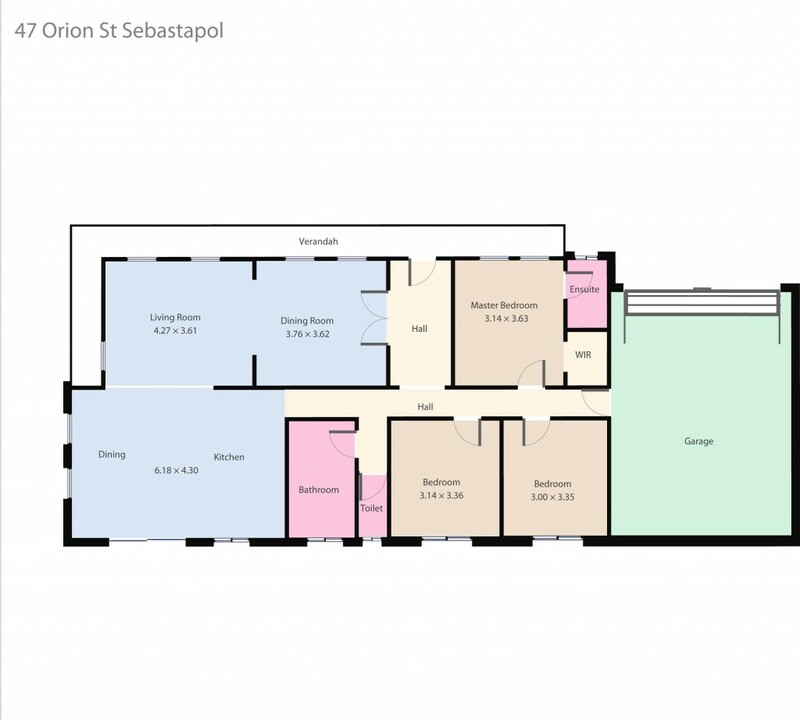 The house has a smart layout with a private hall connecting the three bedrooms and main bathroom. The master has an ensuite and walk in robe while the others have built in robes. The kitchen is modern and spacious and is open plan with large meals and living space. There is a second living option which is also connected to the open plan area. The double remote garage offers direct access into the home via the laundry. Outside is a retractable undercover entertaining area. Properties of this quality never last long, contact the exclusive listing agent today!